London Convention Center, London, Ontario. 1. save $100 off the early bird rate of $950. 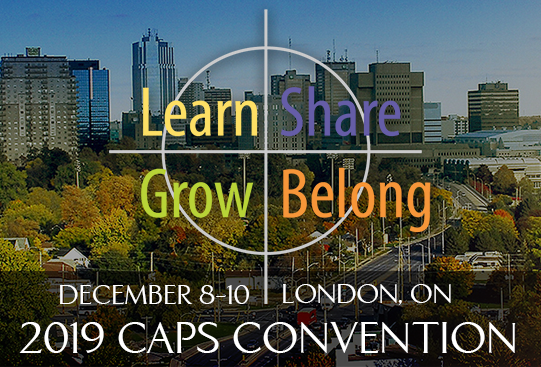 When you submit your deposit of $150 now, your 2019 CAPS Convention rate will be locked in at $850 with a final payment of $700 due before September 15, 2019. 2. If you do not register and make a final payment of $700 by the end of Early Bird on September 15, the $100 off will be deducted from the regular convention fee rate of $1150, with a final payment of $1,050 due. Pre-registration Discount Runs March 18th - 24th. This promotion has ended.